The Liberty Mission Style 3 in. 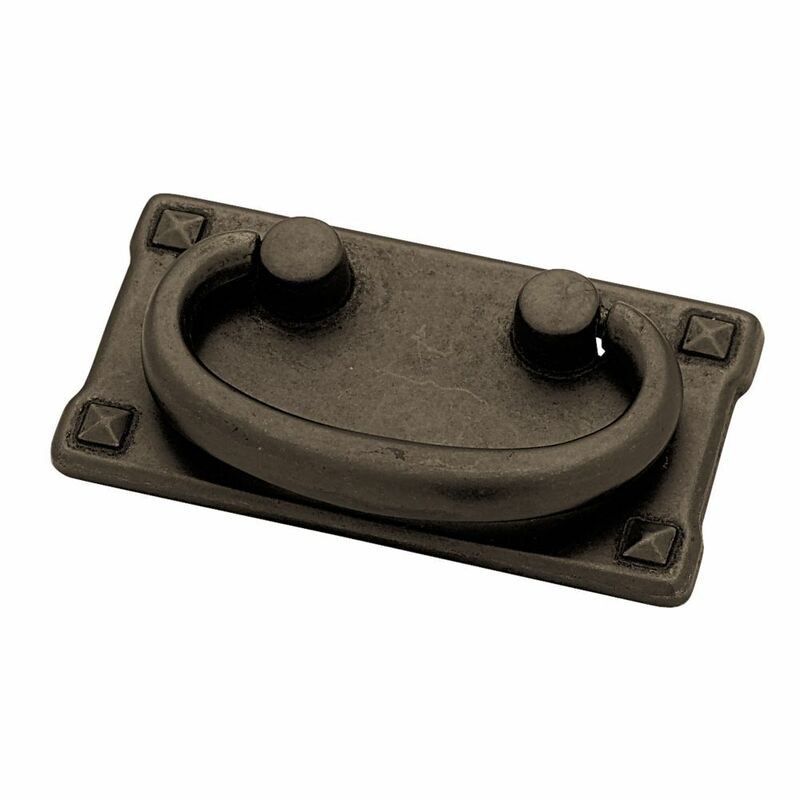 Pewter Fixed Bail Cabinet Pull helps revive existing cabinetry with a stylish pewter finish. The cabinet pull includes hardware to help make installation easy. Ideal for use as an accent for kitchen or bathroom cabinetry or furniture. From Liberty, this Dual Mount Cup Pull exemplifies a style meant to fit with a wide variety of home décors. The classic design combines with a trend-right cocoa bronze finish to create a look that is both casual and refined. It provides the perfect finishing touch to your Kitchen, Bathroom, or DIY project. 76mm c-c Fixed Bail Pull Mission Style The Liberty Mission Style 3 in. Pewter Fixed Bail Cabinet Pull helps revive existing cabinetry with a stylish pewter finish. The cabinet pull includes hardware to help make installation easy. Ideal for use as an accent for kitchen or bathroom cabinetry or furniture. 76mm c-c Fixed Bail Pull Mission Style is rated 4.3 out of 5 by 63. Rated 1 out of 5 by Gretchen from I am returning these pulls. Even though they are very handsome I do not like the way they feel. T... I am returning these pulls. Even though they are very handsome I do not like the way they feel. The underside of the pull is hollow and does not feel pleasant to the touch. I know they would frustrate me if I had to use them for years. I'll keep looking IN PERSON for a better option. Rated 2 out of 5 by Anonymous from Color not representative of product. I ordered a gold tint like the picture and received a dark b... Color not representative of product. I ordered a gold tint like the picture and received a dark bronze, twice. Rated 2 out of 5 by Brianna from The color doesn’t look the same as it does on... The color doesn’t look the same as it does on the computer but i used them anyways !